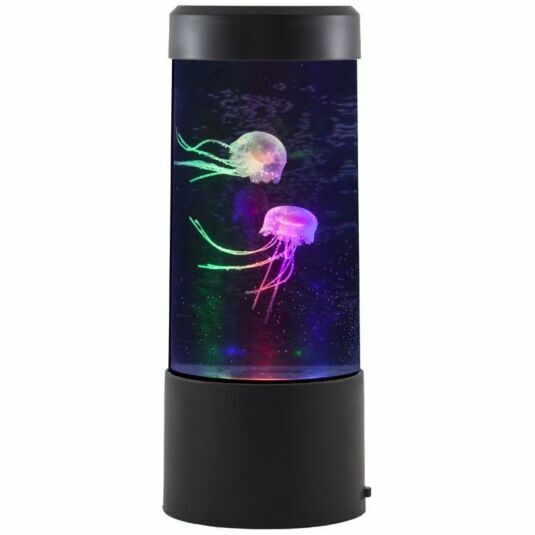 Add a unique ornament to any room within your home with this Round Jellyfish Tank. Sure to become a talking point at parties and gatherings, it will look amazing sat on shelves, dressers or mantle pieces, giving off an atmospheric glow when switched on. The plastic tank is fillable and accessible using a small hole at the top which is tightly sealed using a plug. Inside, two small silicone Jellyfish measuring around 5cm in body length float and swim with the aid of jets of air moving the water giving them amazingly realistic movements. To power the jets and the LED lights which are housed within the base 3 x AA batteries (not included) are required. 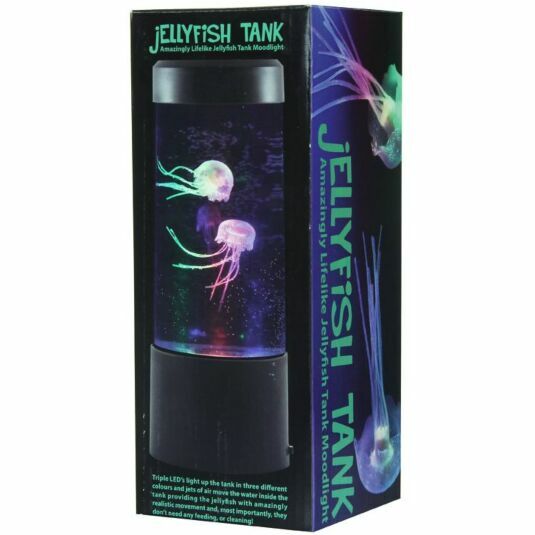 This Jellyfish tank is a perfect Christmas or birthday gift for any gadget-mad animal lover who wants the fun of a pet without the hassle of cleaning or feeding. Requires 3 x AA batteries for usage. Do not use rechargeable batteries in this item.